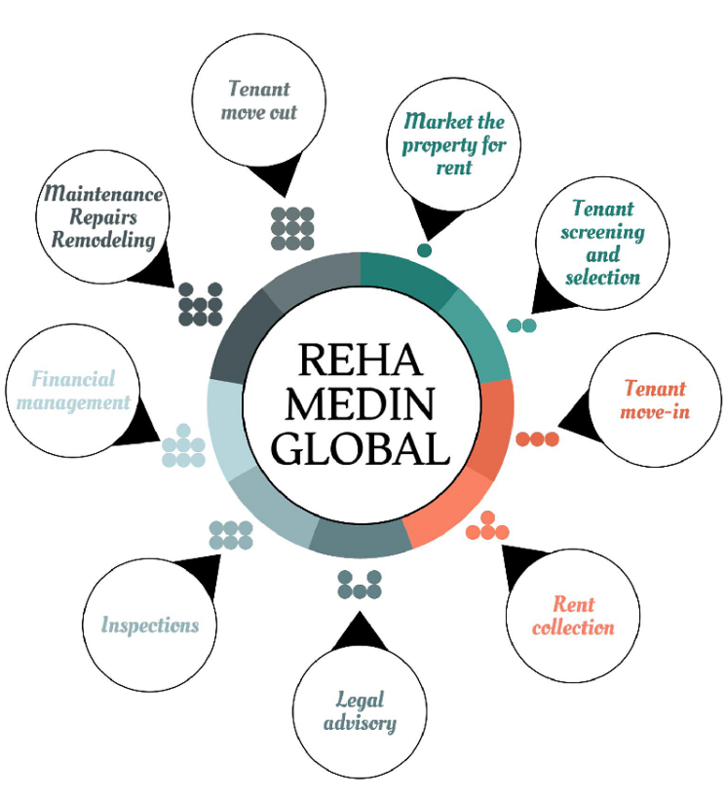 The goal of property management services provided by Reha Medin is to maximize your income and reduce your costs . There are various services we offer to foreign investors who bought a property in Turkey and cant give their properties oversight. There is an accounting system in which you can track your income and expenses. This accounting and reporting system is backed up with declared statements and tax documents, all your property management keeps your financial information in one place. With this tracking system, you can control your money and your time. You can manage your property anywhere in the world 24 hours a day, from the comfort of your computer. A secure online account service of the TROPERTY provides up-to-date information about property activity, including vacancy, renting, maintenance, audits and financial reports. ■ Under our sales company and 250 employees, Our marketing experts gives the quickest service to find the right evaluated tenant for your property. ■ We negotiate with the tenants on your behalf to get the best value for your property. ■ We advertise your property using a number of proven methods to connect with a wide audience including putting property ads on top Real-estate websites including Sahibinden.com, Hurriyet.com and installing a “For Lease” sign on property. ■ We even deal with any tenant issues that may arise, such as rent collections and evictions. ■ We provide 24/7 help/support to you if any unexpected maintenance need arise. ■ We offer a large scale and an affordable furniture packages, We also give an internal decoration consultancy. ■ We offer you to get residency permit and do all the paperwork for you. d. Inspection of the property with tenant prior to move in and signing of the report verifying the condition of the property as leased to the tenant. a. Performing inspections on a scheduled regular basis, agreed upon with the tenant regarding repair requiremens, safety hazards, violations, etc.